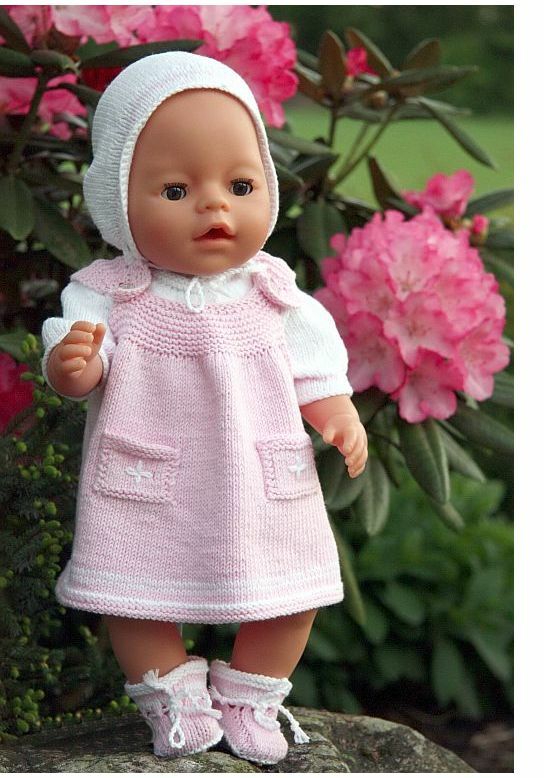 For your Baby born doll..
As you may have seen, we do a survey about what doll you have. 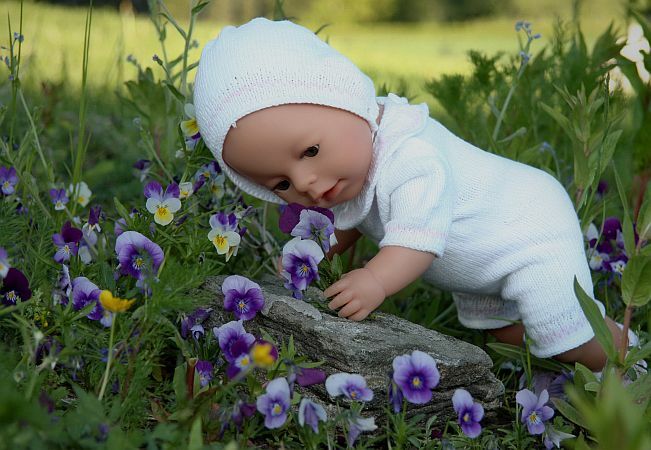 Hundreds have responded, and we come with more concrete results, still that Baby born is popular may not be any secret. 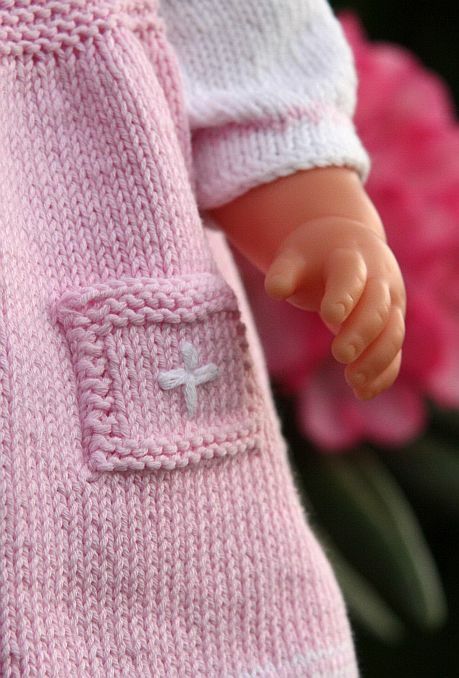 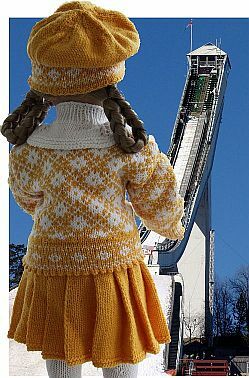 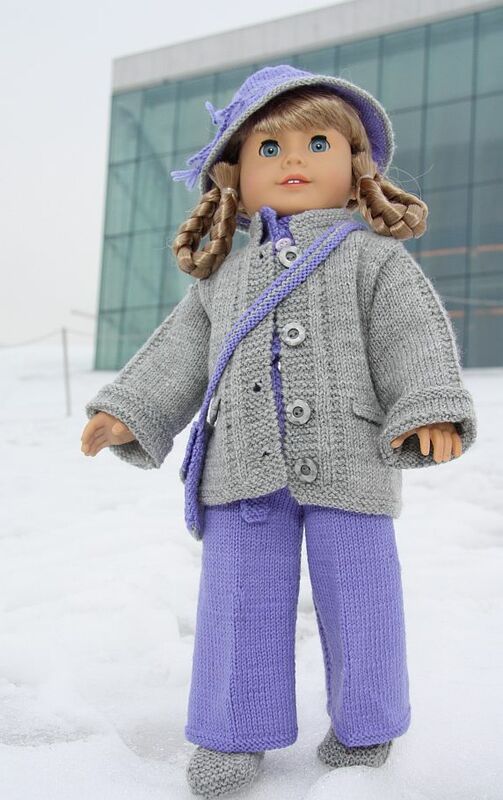 Baby born doll is of high quality, suitable for Målfrid's knitting patterns, and it tolerate to be played with. 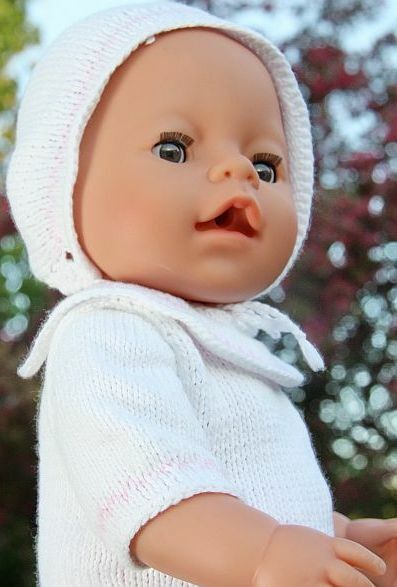 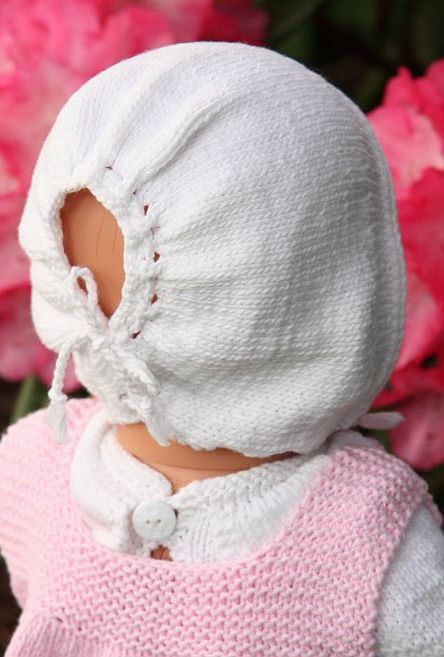 So perhaps it was time to present something really great for the summertime that you can knit to your Baby born (also great to Chou Chou and other 17 "-18" dolls). 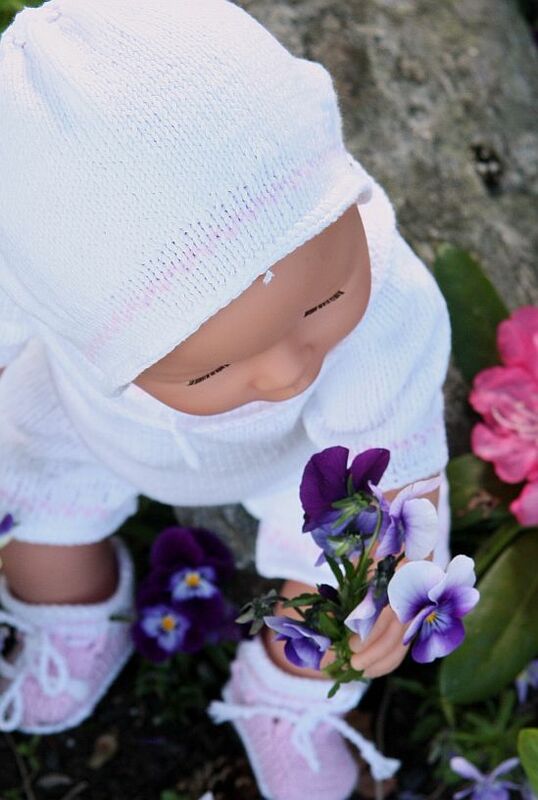 Baby born doll Annelin and the violets.